India Yamaha Motor has launched two new bikes in India namely Yamaha FZ 1 and Yamaha SZ R. Yamaha FZ 1 which is the supersport flagship model of Yamaha, is priced at Rs. 870000 (Ex-showroom, Delhi) and another new bike Yamaha SZ R comes with price tag of Rs. 55,500 (Ex-showroom). 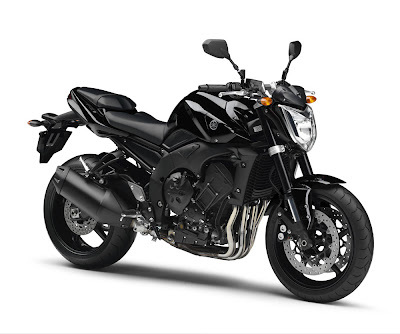 Yamaha FZ 1 is available in the two colours that are Black and White. While SZ R is available in three colours such as Quality Black, Quality Red and Quality Blue. Both the bikes in India are loaded with innovative features and eye-catchy body design, Yamaha SZ R feature's like engine and chassis remains the same as old variants of the bike. On the launching occasion, Mr. Hiroyuki Suzuki, CEO and Managing Director, India Yamaha Motor Said, " India is a big two wheeler market for the Yamaha and the company always wants to change the lifestyle and please with the Innovative and latest features blessed two wheelers. Yamaha provides latest designs, sporty appearance and innovative features in all Yamaha bikes. After the launch of 150 to superbikes in India now the company comes with these two new bikes." The Naked Sports Yamaha FZ 1 is a fuel injected and compact 998cc engine bike that provides excellent performance for the riders. The power packed Yamaha FZ 1 comes with a compact design and DOHC 5 valve, 998cc, power engine that generates a peak power of 150 PS at 11,000 rpm and highest torque of 106 Nm at 8000 rpm with the help of 6 speed gearbox. The fuel injection with computer-controlled sub-throttle valves make the bike excellent performer. The bike comes loaded with 320mm front discs aided by mono-block four-piston calipers up front and a single 245mm rear disc serve up for strong and consistent stopping power. 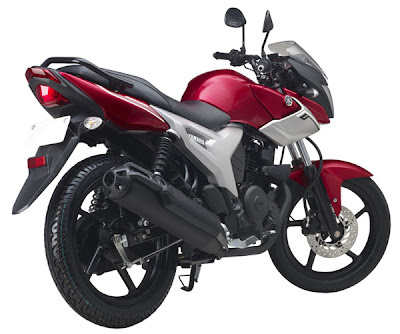 While Yamaha SZ R is a new sibling of Yamaha SZ series which wears modern and sporty look. The new bike houses clear lens flasher, colored handle grip end bar, painted muffler end caps along with special graphics and available in three colour range. Current India Yamaha portfolio includes Yamaha VMAX (1,679cc), Yamaha MT01, Yamaha R1, Yamaha Fazer, Yamaha FZ S, Yamaha FZ16, Yamaha SZ and SZ X, Yamaha YZF R15, Yamaha SS 125, Yamaha YBR 125, Yamaha YBR 110 and Yamaha Crux.